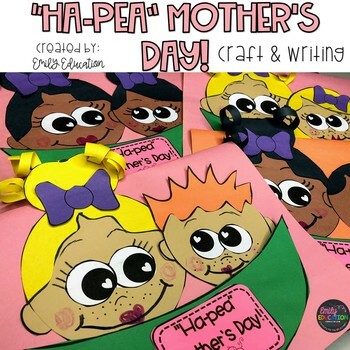 "Ha-PEA" Mother's Day! 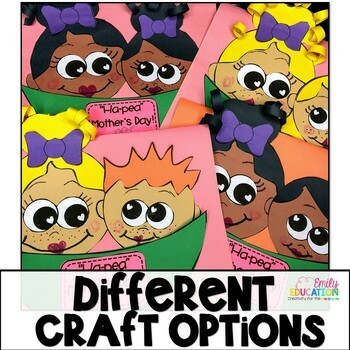 In this adorable activity for Mother's Day students create themselves and their mother figure in a pea pod together. 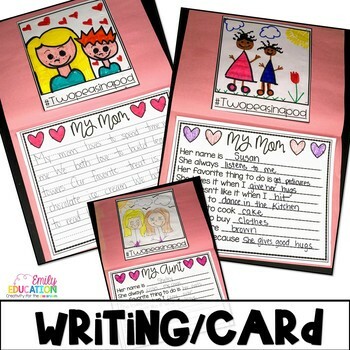 The card then opens up to a picture page where students draw a picture of themselves and their mother figure. 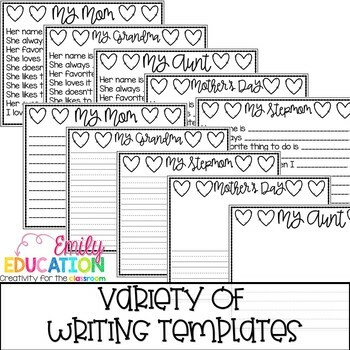 There is also a writing portion where students can fill in the blanks about their mom or a blank writing option. Copyright © Emily Barnes of Emily Education LLC. All rights reserved by author. This product is to be used by the original downloader only. Copying for more than one teacher, classroom, department, school, or school system is prohibited. This product may not be distributed or displayed digitally for public view. Failure to comply is a copyright infringement and a violation of the Digital Millennium Copyright Act (DMCA). Clipart and elements found in this PDF are copyrighted and cannot be extracted and used outside of this file without permission or license. Intended for classroom and personal use ONLY. See product file for clip-art and font credits.